Some gardens are to be appreciated by sitting down and taking a moment to intake its beauty for relaxations. Perhaps take in some inspirations or have a moment to reflect on your thoughts. Learn a bit about its history and place yourself in the garden created in different eras. It’s also important to understand that gardens are to be appreciated because of the efforts by those who take extreme care for. The recommended places below are gardens where you can sync with the soft pace of peaceful environments and surround yourself in nature. 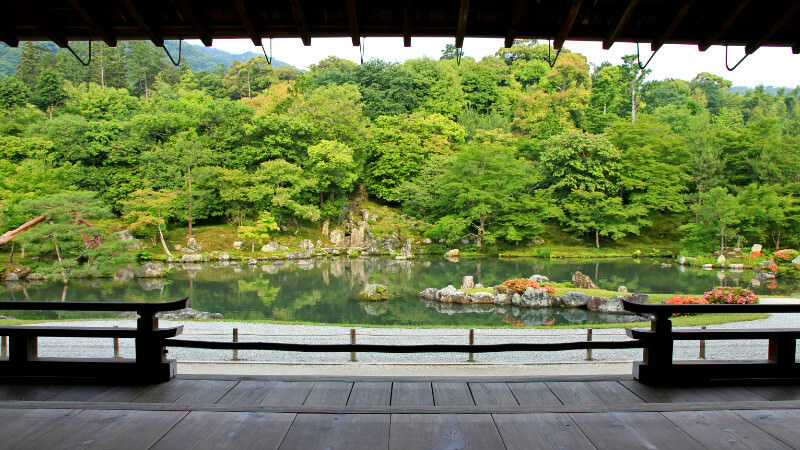 Many chisen-shiki gardens, or pond gardens, consider the borrowed scenery technique called shakkei. Bring in the surrounding scenery such as the mountains to sit back and view the garden as a whole from a distance. Located near the　famous bamboo grove of Arashiyama, it’s a great idea to go through the gardens of Tenryu-ji Temple called Sogen Pond Garden on your way to the bamboos. 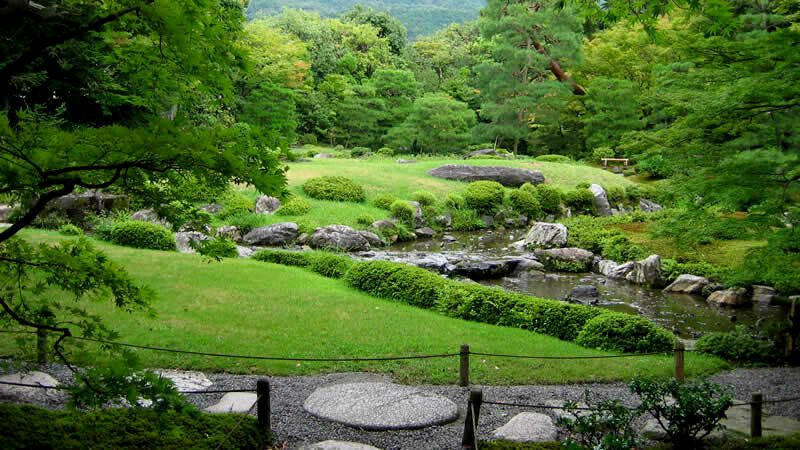 Consider going through this garden when you are in Arashiyama, perhaps on your way to the bamboo grove. When visiting the garden, take your time to sit back and relax to view the stunning scenery. The garden was designed by Muso Soseki, a Zen master, using the “borrowed scenery” technique of Arashiyama in the back. 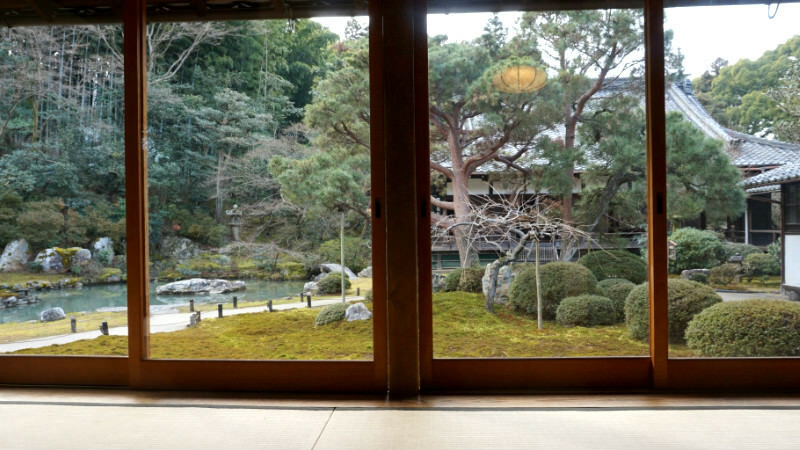 Shoren-in consists of a wonderful garden that you can enjoy its view from sitting inside the building. Enjoy some matcha green tea while you visit this temple. Take a chance on going early in the morning to avoid a crowd and listen to the sounds of water droplets. Occasionally, there are special night time illuminations as well. Many people find peace when visiting this hidden gem in middle of the busy city surrounding the temple. View the garden at Hosen-in Temple from back of the hall. Amazingly, the garden looks like a picture inside of a picture frame. Enjoy looking at the garden both from close by and from a distance to see different view of the garden. 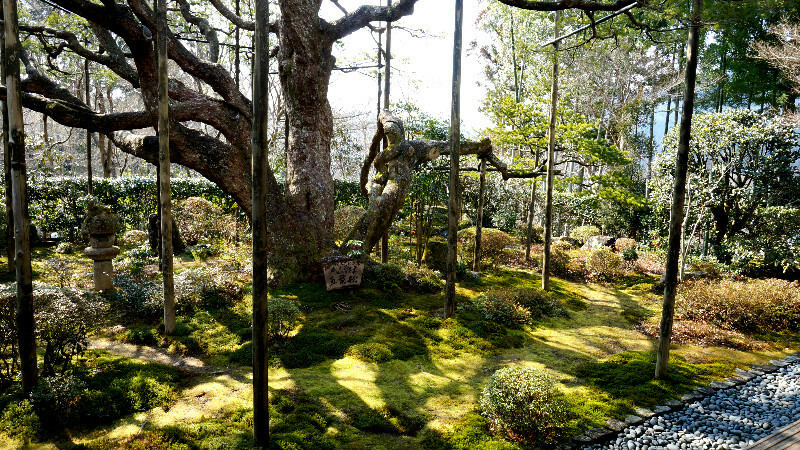 The 700 year old tree has a great presence, and it is a must-see. Entrance fee includes matcha green tea and Japanese sweets to devour while appreciating the garden. Murin-an was constructed as a villa for Yamagata Aritomo who was an important political figure of Japan served as a prime minister from 1889 to 1891. A garden designer known to be the pioneer of modern garden designing in Japan, Jihei Ogawa, contributed to the garden by adding western style features while accenting natural properties. Take a seat by the outer hall of the house and view the garden. How about also enjoying a cup of tea in front of the calm garden? A great chance for a unique experience of being in the same place as the former political leader once lived.